Prosecco, Aperol, soda water, and a slice of orange served over ice. It’s amazing how few people in North America are familiar with the Aperol Spritz, as it is arguably one of the most popular drinks in Italy. 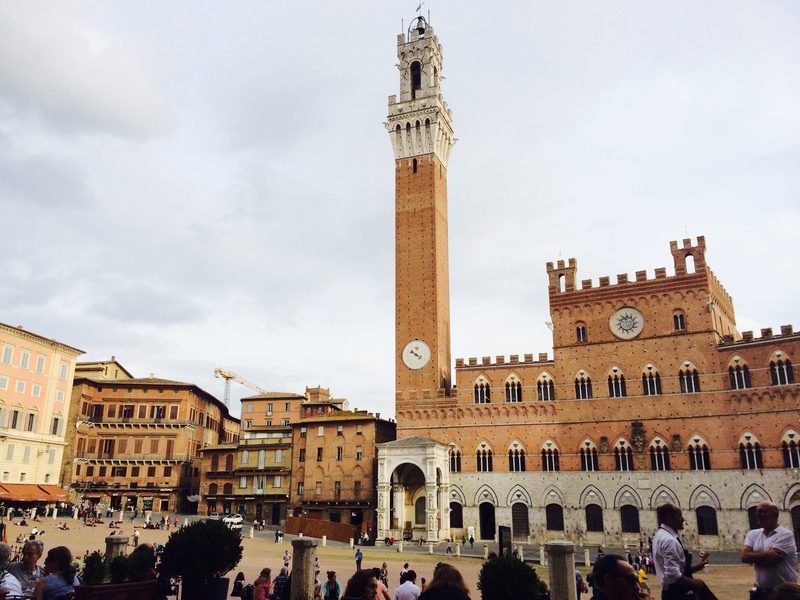 I had never even seen it before my trip to Tuscany. But this lovely, light, bright orange cocktail (alternately known as the Aperol Spritz, Spritz, Spritz Veneziano, or just the Veneziano) is an almost ubiquitous presence in osterias, cafes, bars, and patios all over Northern Italy. Aperol is an Italian aperitif with a unique color and distinct flavour derived from a mixture of interesting ingredients including bitter orange, rhubarb, gentian root (a blue flower root commonly used for flavoring bitters), and cinchona (a medicinal plant from South America that is often used as a source for quinine). The taste is unlike anything else I have tried, with the exception of a mild similarity to Campari. The first time I tried an Aperol Spritz was during the toast at our friend’s wedding in Artemino. Everyone (well, everyone not from Italy, that is) was buzzing about how delicious it was. With its slightly sweet, slightly bitter, and thoroughly refreshing taste, the Aperol Spritz really does seem to be right along the lines of the types of drinks that are currently en vogue in many bars and restaurants in North America (with bitters having made a recent resurgence in popularity). After that, it seemed everywhere I looked there was someone drinking a Spritz. We’d pass a cafe, and there would be a person in the window sipping a Spritz out of a large wine glass. We’d walk into a town square, and the patio would be dotted with bright orange drinks. We’d go to a restaurant for dinner, and there would be several tables full of people drinking Spritzes while waiting for their meal. The Spritz was everywhere. The Spritz pictured in this post was taken on the patio of a restaurant called Alla Speranza located at the edge of Siena’s amazing central square. While the Spritz there was not necessarily any better or worse than any other Spritz I have had, it was enhanced by the beautiful scenery of this spectacular medieval town. And because Tuscany is the first place I ever tried a Spritz, every time I have one here in North America it brings me back to the feeling of sitting outside in Italy overlooking some incredible architecture and basking in the late afternoon sun. Liz, yes. 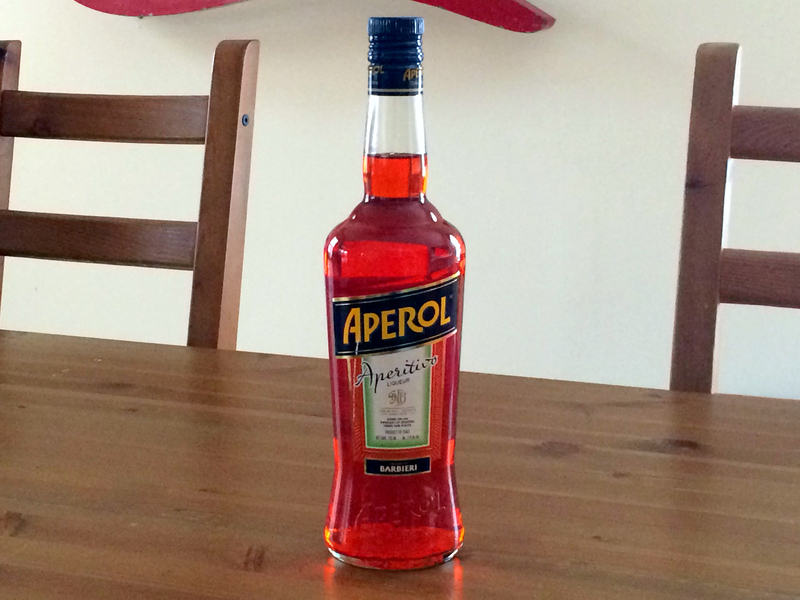 If you like Campari, I’m pretty sure you will like Aperol. They are definitely different though. A friend made me a Spritz with Campari a couple of weeks ago because he was out of Aperol, and it was alright but definitely not the same.